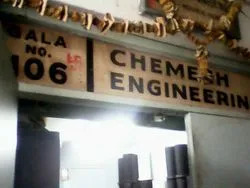 "Chemech Engineering" was established in the year 1968 with a main motive for the manufacturing, supplying, trading best quality equipments which are provided to clients. 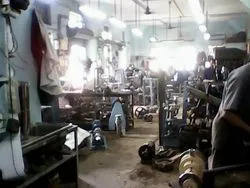 We are also one of the reputed manufacturers of Industrial Process Equipment. All our products are made of extremely good quality of raw materials which include Pumps and Pumping Equipments, Processing Machine and Equipment etc. Our ranges of products are fabricated using superior quality materials that are tested for their quality and efficiency. Moreover, these are available in various sizes, load capacity and other technical specifications to suit the varying demands of our clients. We have highly experienced and trained workers to make the accessories according to the specifications of the clients. We are prevailing under the support of our owner and proprietor Mr. R.J. Mewada, who has vast experience in this sphere. His sharp business acumen and in-depth knowledge of the industry has positioned us amongst the top mark. We have developed stronghold in both domestic and international markets. Our company maintains a line grade to achieve a top peek of the statistics among the international standards. This unit is managed by a team of highly experienced professionals who are capable of handling these machines. We are supported with a sophisticated manufacturing unit, which is equipped with advanced machines and tools. These machines are highly upgraded and help us to offer highly finished products to our clients. We regularly upgrade this unit to offer highly finished products. We also customize and fabricate these equipments in a wide range in accordance to the clients’ specified requirement and detail. Quality is a major motto of our company and in this regard, we offer quality range of Industrial Process Equipment to our clients. We also have a team of quality experts who keep close eye right from the procurement of raw materials to the final dispatch of finished consignments. To ensure the safe and trouble free operation of equipment for its intended application, we also test our range on the various parameters. These experts are also facilitated with advanced quality testing equipment. We also have a team of quality experts who keep close eye on the each activity of our organization. Our range is well known for the user-friendly nature and high performance. Our range finds huge demand in the domestic market for the quality and temperature resistant feature. We have also developed a wide supply chain network across the country to meet the bulk demand of our clients within the committed time frame. With the help of our vendors, we also provide customized solution to our clients. Moreover, our competitive prices and timely delivery services, we have gained a vast client base across the country.